Since 1998 Nepal AOTS has expanded its activity in developing human resources in Information Technology sector especially with the cooperation of Center of the International Cooperation for Computerization (CICC), Japan, whose objective is to assist the developing countries of Asia in the field of Information Technology. Similarly since the early 1990s, Nepal AOTS has expanded its activity, under World Network of Friendship (WNF), in exchanging the Experts and Trainees within South Asian Federation of AOTS Alumni Society (SAFAAS) countries like Bangladesh, India and Pakistan in management and technical fields. Besides sending trainees to SAFAAS countries from Nepal, Nepal AOTS has its own training center, the Yamamoto Talim Ghar (YTG) at Koteshwor, Kathmandu. Nepal AOTS Vision 2020 has put the focus on the development of human resources in two specific areas: Quality Management, and Information Technology and these are executed through the Nepal AOTS’s Training Division. Nepal AOTS has been regularly organizing different types of management and technical training programs in Kathmandu with the objective of developing human resources, exchanging of information and learning from each other's experience. With the common motto of "Progress Through Human Resources Development", Nepal AOTS cooperates, implements and organizes programs of skill and knowledge up gradation of Nepalese people broadly in three modalities. Nepalese technicians, engineers, managers and entrepreneurs are recommended and once selected are sent to programs conducted by HIDA / AOTS, Japan for enhancing their respective skills. These programs vary from short duration study tours to one-year technical training. These programs may be based on cost sharing basis, fully subsidised or fully paid by the participants. 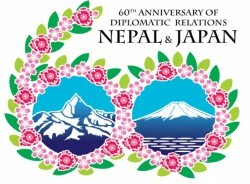 Nepal AOTS used to get support from Center of International Cooperation for Computerization (CICC), Japan for advanced Computer Training in Japan. 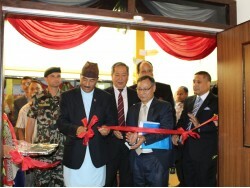 Nepalese technicians and engineers are also sent for specific training programs in other countries beside Japan. These programs are conducted under the auspices of the World Network Friendship (WNF) of HIDA / AOTS, which symbolizes cooperation among various AOTS alumni societies of those countries. The programs are again conducted on cost sharing basis, and the duration of such training program are generally up to three weeks. Nepal AOTS conducts different types of training programs within Nepal itself. These programs are of three categories. Nepal AOTS implements programs like Overseas Lecturing Tour (OLT) and Overseas Training Program (OTP) of the HIDA / AOTS, Japan in Nepal. Experts and lecturers from Japan dispatched by HIDA /AOTS conduct training and seminars in Nepal in specialized areas recommended by Nepal AOTS. Resource persons from AOTS Alumni’s are our second source in conducting specialized seminars / training programs organized by Nepal AOTS within Nepal. Inter-alumni cooperation and collaboration under the aegis of the World Network of Friendship (WNF). Nepal AOTS designs, organizes and implements various training programs, workshops and seminars in different cities of Nepal in cooperation with local trade or business associations. Under Domestic Lecturing Tour (DLT) program, Nepalese experts and lecturers trained in Japan are involved in conducting these programs. The training programs are conducted on need base and cost sharing basis.